Aspects related to the art of writing fiction. Is There a Dark Side to Creativity? ‘Every child is an artist. The problem is how to remain an artist once he grows up.’ Pablo Picasso. As a writer and someone who is training to be an actor, I value creativity. I generally see its bright side and think it can bring a sense of personal fulfilment, improved mental health and an experience of ‘free-flow’ where one is in a focussed yet relaxed state of being. I feel this particularly when I am acting and in communion the with other actors and the audience. I feel fully alive. I think it is fair to say that there is stereotype of the artistic genius. But is there a genuine link between creativity and mental illness? Of course ‘creativity’ is a broad concept but if we were to look at just mental health and the ‘arts’ there is some research to suggest that mental health is lowest in people who work in this field. My experience at the University of Exeter bears this out. The university counselling service was jam-packed with drama students! And of course writers such as Woolf, Plath and Hemingway committed suicide whereas artists such as Van Gogh and Goya or musicians such as Beethoven are reported to have suffered from depression, bipolar disorder and breakdowns. But are such famous artists representative? Or is there something about being an artist and delving into the unconscious and into areas that most people would wisely leave be? Do modern-day artists have shamanic status? And who is to say society in general is sane? As Thomas Szasz says, insanity is a sane reaction to an insane world. Of course, many artists are not addicted to either drugs or alcohol. But there may be an increased likelihood of becoming an addict if one has artistic leanings. To a certain extent, artists do have an outsider status. They often challenge the status quo, go beyond convention and offer new ways of seeing things. Drugs similarly offer the user new perceptions and ways of looking at the world, particularly hallucinogenic drugs. They are also illegal which might provide an additional allure to an artist of a rebellious nature. The 27 Club is a term that refers to a number of popular musicians who died at the age of 27, often of drug or alcohol abuse. They include, of course, Jim Morrison, Cobain and Hendrix. But perhaps childhood trauma and/or the pressures of sudden fame also played their part in some of these artists early deaths. There is some recent research that suggests creative people may be a little more dishonest, arrogant and distrustful than other members of society. One could argue for example that the criminals who committed The Great Train Robbery showed a great sense of ingenuity which is a key component of creativity. And, I guess, if one is on the margins of society, or is challenging the conventions and morality of society, one is more likely to be distrustful. And for some highly creative individuals perhaps there is a sense of going against the crowd which could lead one to become more eccentric, criminal or even pathological. 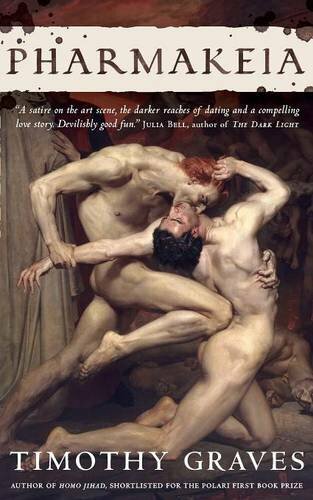 The allure of darkness may even manifest in an attraction to Satanism or occult practices. 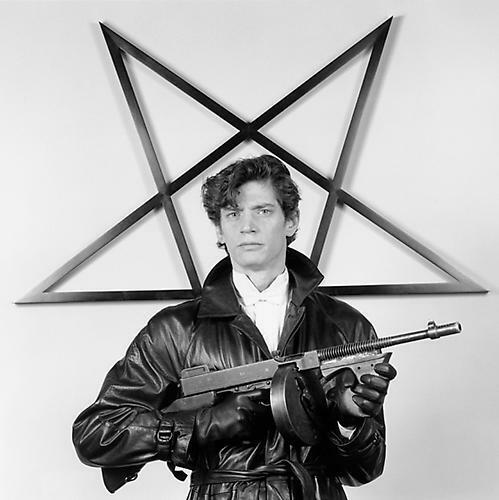 Robert Mapplethorpe, for example, is well know to have dabbled in Satanism and the occult. When interviewed for a documentary about Mapplethorpe, his former lover, Jack Fritscher, said, ‘Not to put Mapplethorpe down, but Satan, to him, was not this evil monster. Satan was like a convivial playmate.’ Then there are other artists or writers like Ted Hughes, Crowley or H P Lovecraft who were similarly interested in the occult. Next week’s blog post will be an update on my forthcoming memoir. ‘The Flying Bull’ theatre company’s short film, ‘Lippy’. This short film, ‘Lippy’, produced by ‘The Flying Bull’ theatre company, centres around the character of a homeless person. The screenplay was written by Timothy Graves and directed by Penelope Maynard. Director of Photography and Editor, Giles Webb, Directing Consultant and Acting coach, Robyn Moore. Music by Airacuda.The cast are as follows: Timothy Graves (The Professor), Eva Mashtaler (The Girl), Karim Jabri (The Boyfriend), Sue Ruddick (The Kind Woman). The film was shot in Holborn and Covent Garden in central London and focusses on the issues of homelessness and environmentalism although the short piece is character driven. Part of the brief was that the film be no longer than 5 mins long and that it could be shot not far from The City Lit Institute where all five actors of ‘The Flying Bull’ are studying for a professional diploma in Acting. On the actual day of filming we were upstaged rather by an actual homeless guy, James, who initially would not move from where we wanted to film. However, it was not long before we persuaded James to join in and take part in some of the filming which he thoroughly enjoyed. In writing the screenplay, I was inspired by a scene in the Mike Leigh play ‘Career Girls’, when the two female characters, many years later, accidentally bump into a friend and flatmate from university. Only the friend, who had suffered from some mental health issues at university, is now homeless on the streets of London. In ‘Lippy’, it is one of the professor’s students that recognises the now homeless professor. The flashback scene, set at Manchester university, is necessary to highlight how drastically both the professor of botany and the student’s lives have changed. I hope you enjoy ‘Lippy’. It’s out first short film and we certainly had fun making it! I have been practicing Buddhist meditation, on-and-off, for nearly twenty years. I was introduced to two meditation practices – the ‘Mindfulness of Breathing’ and the ‘Mettabhavana’ (the cultivation of loving kindness) – at the London Buddhist Centre in Bethnal Green. I have also been on a number of Buddhist retreats here in the UK and went on a Vipassana retreat in Rajasthan, India, some years ago. And this week I attended Rigpa, the Tibetan Buddhist Centre in London to listen to two talks given by Jetsun Khandro Rinpoche. 1. 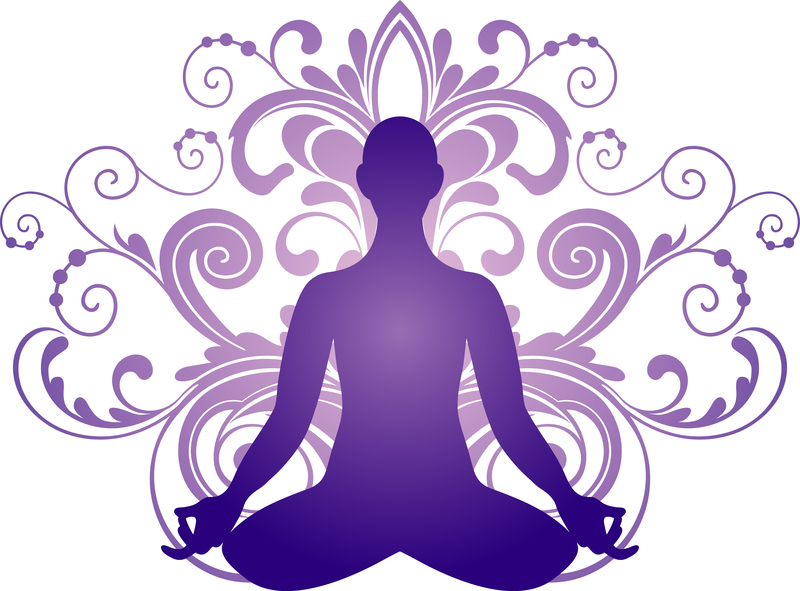 Meditation encourages ‘divergent’ thinking. Divergent thinking, as opposed to convergent thinking, generates creative ideas by exploring many possible solutions. It occurs in a spontaneous, free-flowing, ‘non-linear’ manner. I personally find the post-meditation phase, the best time to write. I may have been puzzling over a particular character or part of the story for some time and meditation has provided the conditions that have resulted in mental clarity and that perfect gem! It’s always good to have a notepad handy! 2. Meditation can help with writer’s block and procrastination. After meditation, one’s mind is calmer and one seems to achieve one’s goals more effortlessly. Hindrances, such as restlessness, doubt or sleepiness will arise in any one meditation session. Overcoming such hindrances in meditation will help one overcome hindrances and difficulties in life generally and, if you are a writer, obviously in the field of creative writing. 3. Meditation will make you a better person and therefore a better writer. Compassion and the development of wisdom is at the heart of Buddhist meditation. As writers, we are, of course, dealing with the human condition. A person who is more empathic, wiser and more compassionate is better able to write about the difficult, challenging, and often traumatic situations we humans often find ourselves in. What is the point of art without much heart? 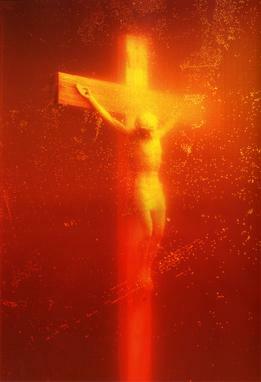 Or art without much insight into the human condition? 4. In our daily lives we are saturated in narrative: films, books, gossip, newspapers etc. We are continually telling ourselves stories about our own lives. And even stories about those stories. As someone who writes stories, and tells stories as an actor, I find it refreshing, on a daily basis, to enter into a story-free zone! The spaciousness of Mind, baby! Paradoxically, I am a better story teller for it! Perhaps, in part, because meditation creates more space in your head and more awareness. A chaotic monkey-mind ,continually chattering away, is not really conducive to creating a story of any depth. 5. Meditation, particularly practiced in a Buddhist context, gives one perspective on the events in one’s life or the events one is creating in a work of fiction. I am currently working on a memoir and am finding that meditation and the Buddhist world view is helping me to see things from a more spiritual perspective. 6. Meditation can help with resistance to what Dorothy Parker calls ‘the art of applying the bum to the seat’. 7. There is a lot to be said for getting yourself ‘out of the way’ before you create anything. Buddhist mediation, slowly but surely, diminishes the power of our attachments and the clamouring voice of our own ego. Your voice, as a writer, will therefore be more aligned to what Jung refers to as the ‘Self’ and the overall vision for whatever you are writing will be greater. 8. Establishing a daily meditation practice requires discipline, particularly in the beginning. So does writing. If you meditate you are less likely to make up excuses not to write. And when you write, you are likely to be more productive. 9. Meditation can help to quieten that voice of the Inner Critic which can be so detrimental to creative writing, particularly in the early stages of a piece of work. We begin to feel more centred and confident in ourselves generally and are also therefore less likely to be adversely affected by negative criticism from others when our writing is eventually published. Or that’s the idea anyway! 10. Meditation develops focus and concentration but in a relaxed way. This state of ‘free-flow’ is likely to continue some time after meditation – so get writing! How to Write a Succesful Memoir. Remember memoir is not autobiography. It is important to select your theme and focus. Is your memoir a ‘coming of age’, ‘spiritual quest’ or ‘confessional’ memoir? Does it focus on the theme of bereavement, addiction, divorce or any other subject matter? What part of your life does it focus on? The management of time is important. Events do not necessarily have to be written in chronological order. Feel free to move beyond the linear narrative structure. You may, for example, decide that you wish to switch back and forth between time frames. I recently read an excellent memoir focussed on the theme of drug addiction, Portrait of an Addict as a Yong Man, by Bill Clegg. In his memoir, Clegg switches back and forth between the present day narrative, where he is struggles with an addiction to crack-cocaine, and a narrative based around key events from his childhood. One does not need to be overly concerned with the ‘voice’ of the character as one does in fiction. Memoir is a truthful personal account written in the first person. You already have the ‘voice’ of the character. It is you! Just dig deep and get visceral! It’s possibly a good idea to change the names of some of the people in your memoir to protect their privacy. It’s also important to bear in mind that no one really wants to read a memoir which is about getting even with people who may have hurt you. Where it is appropriate, one should include an honest appraisal of the part one has played, however small, when writing about painful events from the past. It is important to be rigorously honest. Memoir is based on real events that happened to you. People who read your memoir will expect these events to be based on truth. One breaks this essential pact with the reader at one’s own peril. However, when writing dialogue, for example, it is unlikely you will remember, word for word, what your father said to you when you were ten years old. Even in this area of writing though, it is important to remain truthful to the essence of what was said in conversation. Memoir is not fiction but it still needs a ‘character arc’ and a ‘narrative arc’. What have you personally learnt from the life experience you are writing about? How has it changed you? 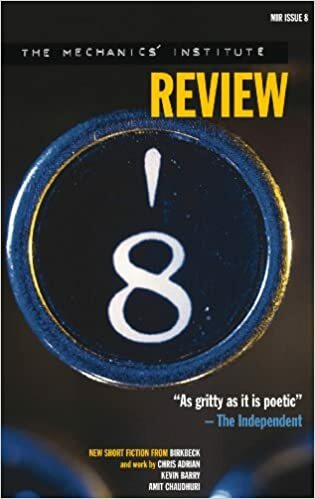 When thinking about the narrative arc to your memoir, it may be useful to reflect on the seven basic stories that Christopher Booker writes about in The Seven Basic Plots. Why We Tell Stories. Is your memoir, for example, structured along the archetypal storyline of a ‘quest’, a ‘voyage and return’, or an ‘overcoming the monster’? Perhaps it is a good idea to have a ‘beginning point’ and an ‘end point’ in mind. I have found that I can use my skills as a novelist when writing memoir. This certainly does not mean I am making it all up! However, it does mean that I am able to carefully craft and construct the writing and employ effective dialogue, scene description and sensory detail to bring the writing alive. Build in time for personal reflection concerning events that have happened. This is your chance to offer nuanced observations about life and the world. However do not be too heavy-handed with your pearls of wisdom and write huge chunks of text about what you have learnt. Rather, sprinkle your insights sparingly. The end of a chapter might be a good place to reflect on what has happened to you but obviously this should not become a set rule! Remember, writing a memoir has a huge personal pay-off. The process can be immensely cathartic and healing. Overcome your fears (and I have encountered many so far en-route to writing Love) and you will be rewarded with a greater sense of understanding about past events and a greater self-awareness. Get published, and you will offer valuable insights and wisdom, often gained at great personal expense, to others.